The Land of Fire is targeting to expand the geography of visiting tourists by attracting citizens of such Asian countries as Japan, Korea and Indonesia. After attracting thousands of tourists from Persian Gulf countries this year, the country is keen to "beckon" tourists from Eastern Asia to help drive tourism. Azerbaijani people are well known for their hospitality while the country’s nature with its climate, beauty and uniqueness mesmerizes even the most claimant tourists. The country with rich ancient history has thousands of places to visit, ranging from the capital to the unique villages lost in the clouds. 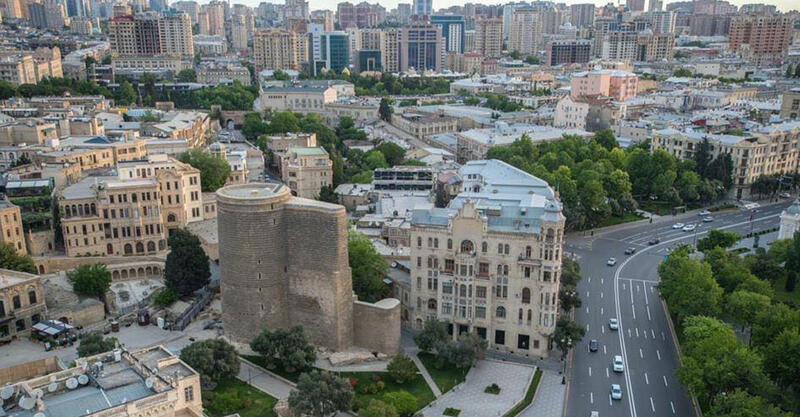 Baku, where past and modernity, East and West have intertwined cannot leave indifferent any traveler. Warm Caspian Sea, sandy beaches and delicious Caucasian cuisine attract tourists to Azerbaijani resorts day by day. Muzaffar Agakarimov, the adviser of the Chairman of Azerbaijani Tourism Association, said that tourists and travel agencies from Japan, Korea and Indonesia are showing growing interest in Azerbaijan. Although there are many beautiful places around the world to visit, only some of these tourism destinations can cater to Muslims more than others, since many Muslims feel more comfortable in Muslim countries due to food, prayer or even security issues. In Azerbaijan, where modernity and intellect meet Islam and modern cultures, Muslim visitors can have an unforgettable experience. Agakarimov recalled that last year there was a growth in the number of tourists visiting Azerbaijan from Arab countries, Iran, Russia and Kazakhstan, adding that the country expects increase in the number of tourists from these countries, as well. During the New Year holidays, Shamakhi, Sheki, Gakh, Gabala, Gusar and Guba regions of Azerbaijan become the most visited places of local and foreign tourists. In 2015, Azerbaijan has turned into the hot spot destination for GCC tourists with 30 times increase of visitors from the UAE and GCC. The number of tourists coming from Muslim countries hit a record in 2016. Overall, in the first half of 2016, Azerbaijan was visited by 25,000 tourists from Arab countries, while the figure approximately 22,000 people or eight times more than in the same period of 2015. The expert said that overall it is expected that in 2017 Azerbaijan will host much more tourists than last year. "Azerbaijan also welcomes tourists from Europe, but their number is relatively few. We believe that their number will also increase this year," he added. A number of world-famous hotel brands are operating in the country, particularly in Baku, while development of hostels in regions still leaves much to be desired. Therefore, Agakarimov claimed that one of the most important conditions conducive to the growth of tourists in Azerbaijan is the construction of hostels, one- and two-star hotels. He believes that after the construction of budget hotels, tourists coming from the Arab countries, Iran, Russia, including the North Caucasus, will give preference to this type of accommodations.